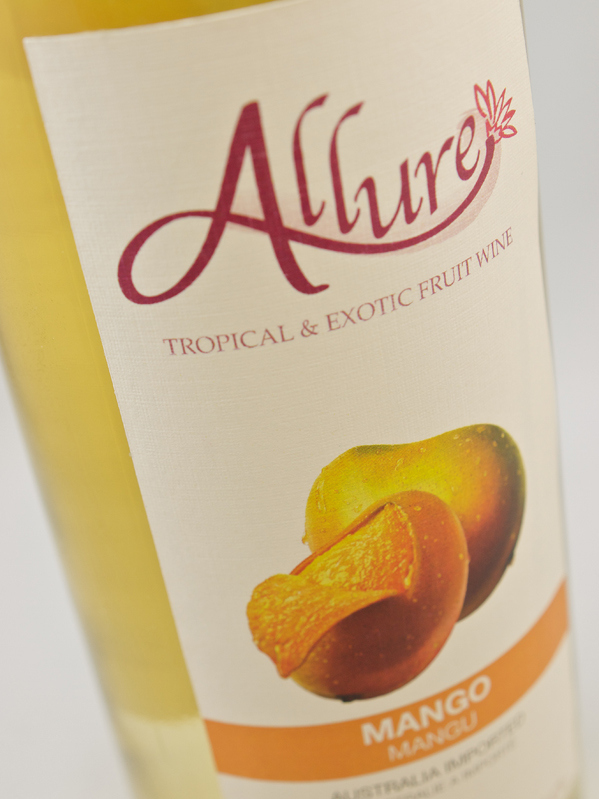 Allure is a theoretical line of imported tropicaland exotic fruit wines available within North America. 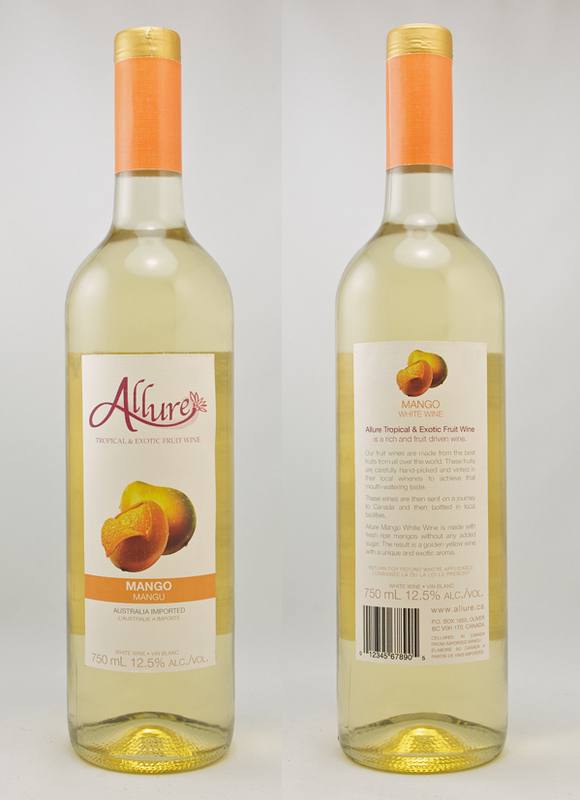 Allure wines are romantic in nature, and suggestsa peaceful and gentle setting for its’ consumers.It is targeted towards women 21 to 50 years old. Even though North America is becoming more multicultural, there is still a large majority of people who are unfamiliar with several foreignfruits. As an attempt to break the barrier, a simple and non-aggressive design approach was used.